This world-famous festival, dating back to 1869, is held at Galway’s Ballybrit racecourse and attracts more than 170,000 spectators over the week. 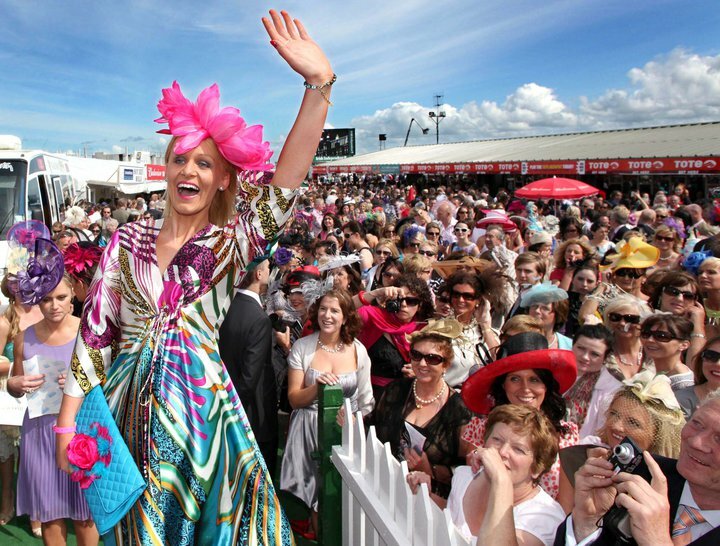 The biggest crowds converge on Ladies’ Day, where glamour and fashion compete with top-class racing. This was our day of choice to experience, for the first time, horse racing in Ireland. I was surprised to find that four of the eight races on the card were steeplechase and hurdle events, here a summer attraction compared to its more common winter setting in New Zealand. My biggest hurdle for the day was behind the wheel as I negotiated my way to the track along with 44,500 other visitors keen to experience top-quality Irish racing. Stiletto heels were a challenge in the soft conditions underfoot for the thousands of fashion-conscious women delicately extricating themselves from the carpark paddocks as they headed for the more supportive asphalt at the turnstile gates. And complimentary blister packs greeted female patrons in anticipation of the sore feet that would trouble many at the end of a long day in high heels. The big prizes on offer for the Best Dressed and Best Hat competitions bring glamorous hopefuls from around the world to model the latest fashion. Not to miss an opportunity, bookmakers Boylesports release betting odds on the big fashion event. The shortest odds in each category suggest that an under-30 brunette from Dublin in a cream dress will win the coveted Best Dressed title. I’m intrigued with the odds being offered on the winner’s hair colour and being a gambling man, I plumb for a long-shot – 50/1 for a blue rinse to get the judge’s nod. 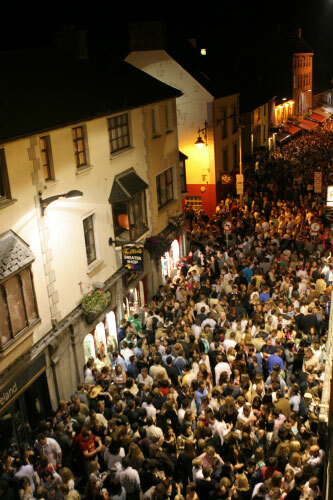 Later the streets of Galway are packed. But let’s not forget the horses. The feature race was the €250,000 ($NZ440,605) Guinness Galway Hurdle Handicap over two miles (3200m), the richest hurdle race in Ireland. This was a race from a standing start rather than starting gates. Like a shoal of fish, the field of 20 tightly packed runners circled at the start, their riders ‘jockeying for position’ to get the best possible advantage at the fall of the tape. This was Irish jumps racing at its finest. But it was not to be an Irish victory on the day – the British raider Overturn led all the way to win by five and a-half lengths. If you want to see Ireland at play, the Galway Races in July is the place to be. It certainly showed me how the Irish love their horse-racing, particularly over the jumps. And even if you are not a race fan, the glamour and fashion, the bookies’ umbrellas with their panoply of colour, the fun and camaraderie and the flow of Guinness all make this a social occasion not to be missed if you are planning a trip to Ireland. My time for ‘following the horses’ in Ireland had come to an end as we headed off to the Mary of Dungloe Festival in Donegal. I wonder if they have a racetrack there? (Tony also went to the Irish National Stud in Co Kildare and to Templemore, Co Tipperary. 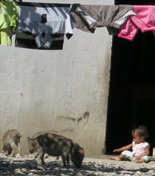 For the full account, see his story in the Otago Daily Times). This entry was posted on Thursday, July 19th, 2012 at 2:12 pm and is filed under Sport, Visiting Ireland. You can follow any responses to this entry through the RSS 2.0 feed. You can leave a response, or trackback from your own site.